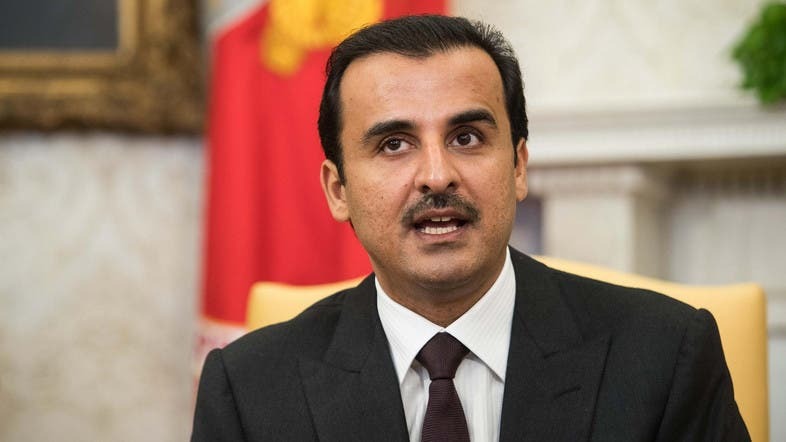 Qatar came out with a list of groups and actors that it considers as falling into the ‘terrorist’ category after some coaxing from the US, as well as the considerable pressure from an Arab quartet comprised of Saudi Arabia, UAE, Bahrain, and Egypt. On the positive side, is the fact the combined pressure from Washington and the Arab quartet, found some reluctant moves by Doha. Qatar’s first announcement under a US Memorandum of Understanding on combating terrorist financing came in October sanctioning 11 individuals, a charity, and one company in Yemen for ties to al-Qaeda in the Arabian Peninsula (AQAP) or the ISIS’s Yemeni branch. That list included a former Qatari government official who once was in-charge of a provincial branch of AQAP. Although outwardly a positive step, Weinberg writes that this is “a limited one”. Weinberg finds it puzzling the absence of even a single terrorist group in Syria or Iraq from Qatar’s lists, given Emir Tamim’s assertion in 2014 that Qatar does indeed consider at least “certain movements” in Syria and Iraq to be terrorists. Qatar’s terrorism list omits a range of South Asian terrorist organizations, including the Taliban, the Haqqani Group, and Lashkar-e-Taiba. F Qatari territory has time and again been used to raise funds for these terror outfits. Nor is Hezbollah on the new terrorism list issued by Qatar, even though the Gulf Cooperation Council had in 2016 labeled the organization as terrorist. Nor are any other Iranian-backed terror groups, such as Asaib Ahl al-Haq or Kata’ib Hezbollah in Iraq, or Hamas or Palestinian Islamic Jihad in Gaza. Weinberg says Qatar’s continued refusal to designate these organizations as such publicly – even after creating detailed regulations for doing so and applying those regulations to dozens of entities – will undoubtedly feed existing uncertainty as to whether Doha truly stands opposed to major terrorist groups. The government of Qatar continues to support extremist preachers who engage in hate speech and anti-Semitic incitement, a post on the Anti-Defamation League’s blog has said. According to the blog on the ADL website, in a sermon in December 2017, preacher Muhammed al-Muraikhi told the Muslim world that Jews have “enmity and hatred to you in their blood and their veins”. He charged that Jews would never be satisfied with concessions from Palestinians or with “so-called coexistence” and called upon all Muslims to “cleanse” al-Aqsa from “the filth” of the Jews. “Despite all that the Zionists do and all that Satan helps them with support and assistance and providing weapons and everything they ask for,” he praised the Palestinians for their resistance. In the blog, David A. Weinberg warned that despite Qatar’s pledge to control what is being said in their mosques, a prominent platform is given to extremist preachers, who “promote strident anti-Semitic” views.